My hubby and I have bought two houses in our marriage, and neither one was new. Our first was around 50 years old when we bought it, and we had to rewire, put up new drywall, fix some duct work, and put in all new flooring. Our current house was only 16 years old when we bought it 8 years ago, which of course makes it almost 25 years old now. So thankfully we’ve only needed (or wanted) to do a few updates. We live on a budget, and so we pick and choose, and spread out our renovations. 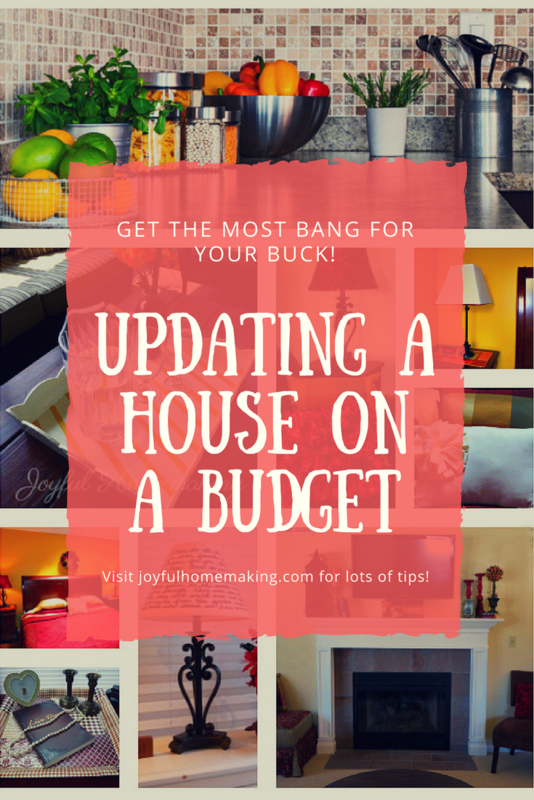 I thought I’d share with you 10 of the ways we like to get the most “bang for our buck” without doing major remodeling Hopefully this will give you some ideas too! 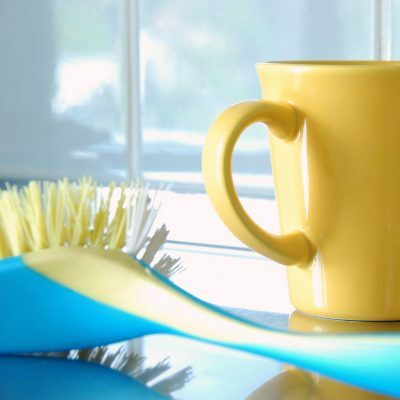 Cleaning is an easy first choice for making a space look and feel instantly better, for the least amount of cost. 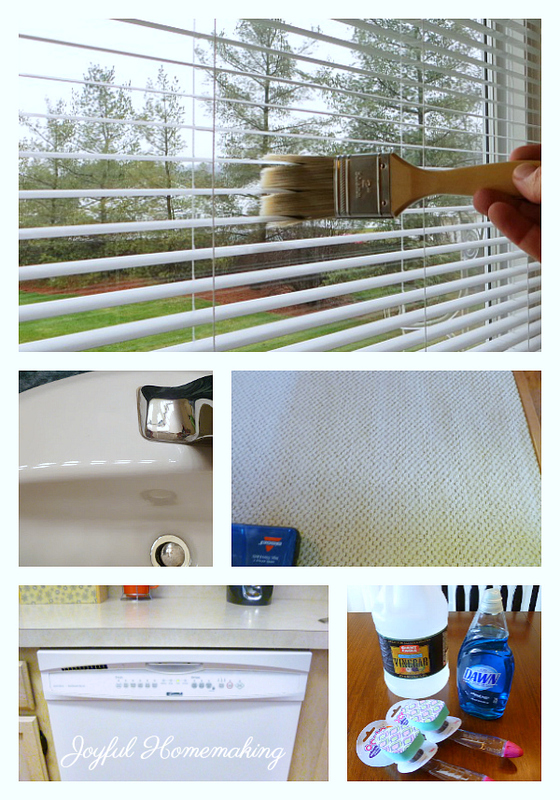 Getting rid of dirt, grime and dust, and making things shine is inexpensive, and a must first step in updating an older home on a budget. 2. 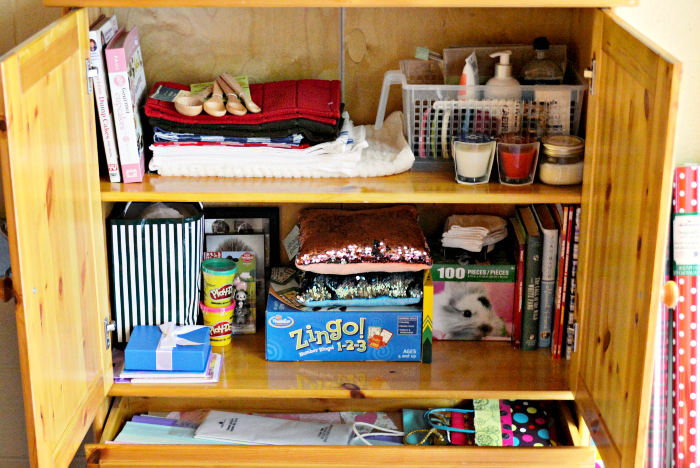 Organizing is a two fold process: first, getting rid of unnecessary knickknacks, furniture, clothing etc… Secondly, combining and grouping your possessions in an efficient, eye pleasing way. 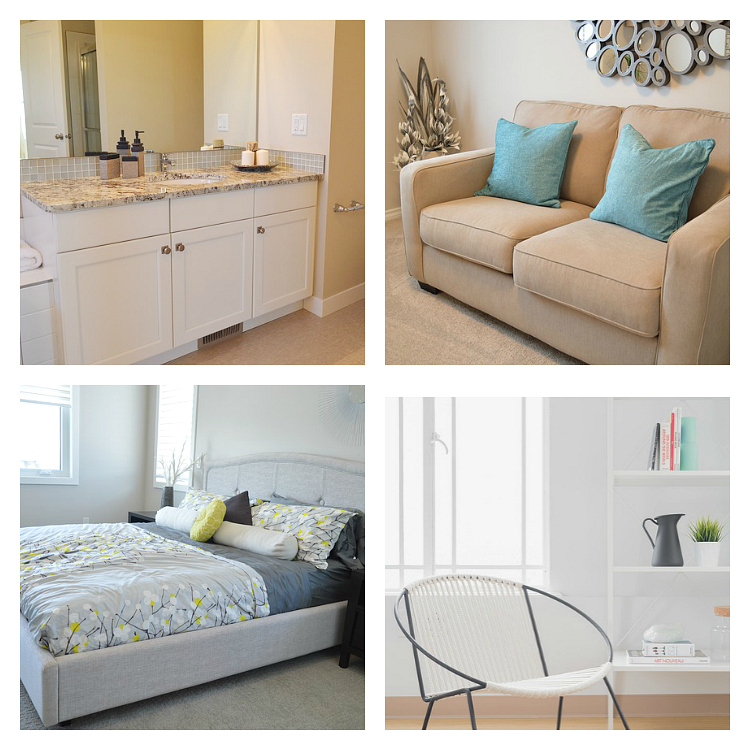 Contrary to popular belief, you really don’t have to have expensive gadgets or furniture to create a tidy pleasing space. There are always less expensive options or DIY solutions. 4. 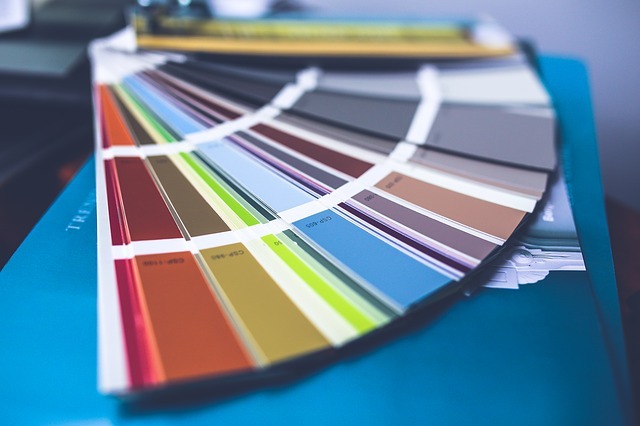 Changing up pillows, bedding, window coverings or seasonal accessories can be a cost effective way to update and change the look of a room, or your entire home! When I buy couches, beds or other furniture pieces, I really plan on getting my money’s worth, and treating them with care, so they last me a good long time. 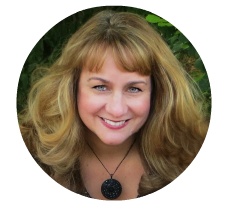 If you’re like me, after awhile though sometimes you just need a change or a fresh new look. This is where colorful throws or pillows with different designs or textures, or switching out accessories, lamps, window coverings and decorations can really transform your space. We’ve changed one bedroom in our house several times without changing the paint color, just the accessories: They can really change the look. 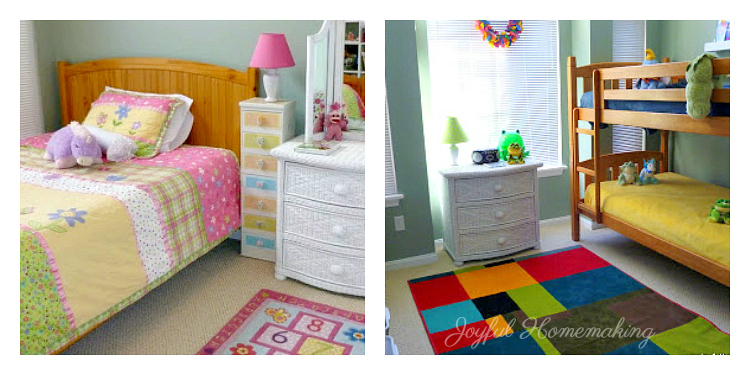 Lately we’ve been updating the same room with blues, greens, grays and brown colors for my teenage daughter. I hope to show you a picture soon! 5. 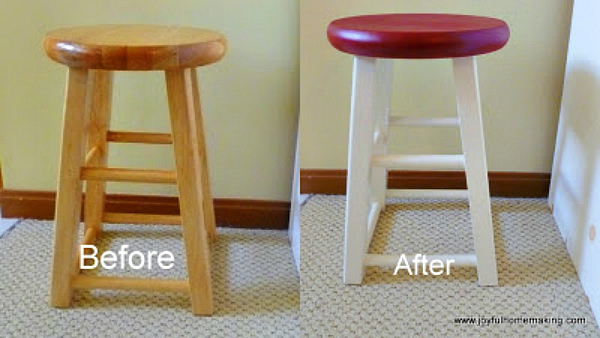 Re-doing a piece of furniture with paint, stain or hardware is a fun way to update! It really lets you express some creativity and coordinate pieces for harmony and compatibility, and it’s a good way to re-purpose items for another area of your home. Little painting projects can be done in a short amount of time, and give you confidence and satisfaction to tackle larger ones. 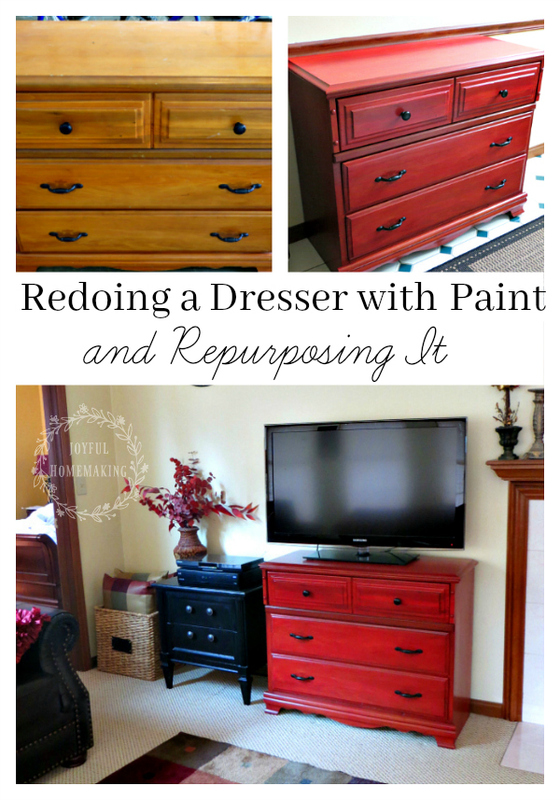 Painting and repurposing a dresser really gives you so much bang for your buck, and can instantly change the feel of a space from blah to wow. 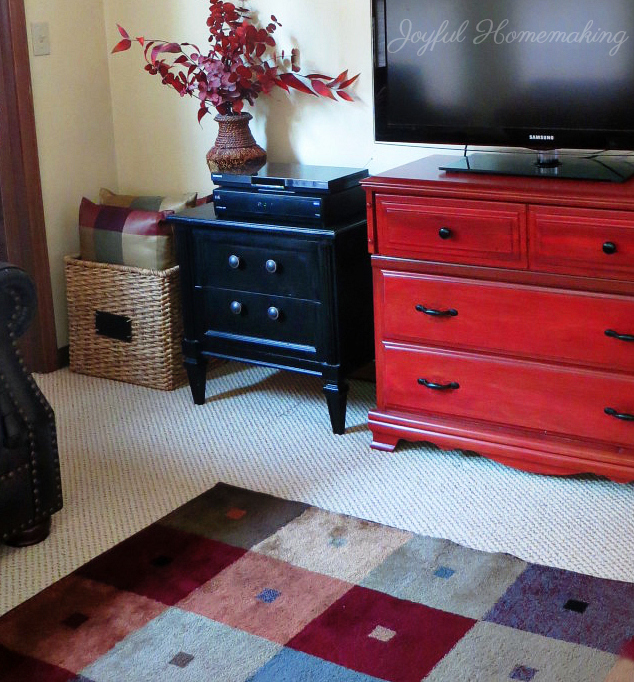 This dresser went from super old and tan, to bringing a pop of color to my living room, and it makes me smile! 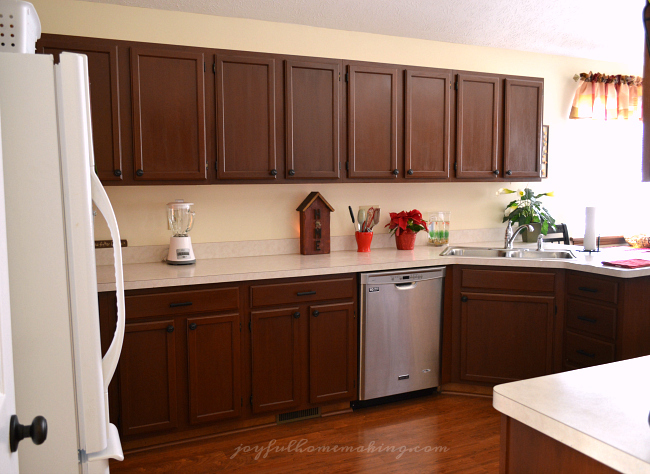 This kitchen cabinet makeover cost several hundred dollars mostly because of the door handles we picked. 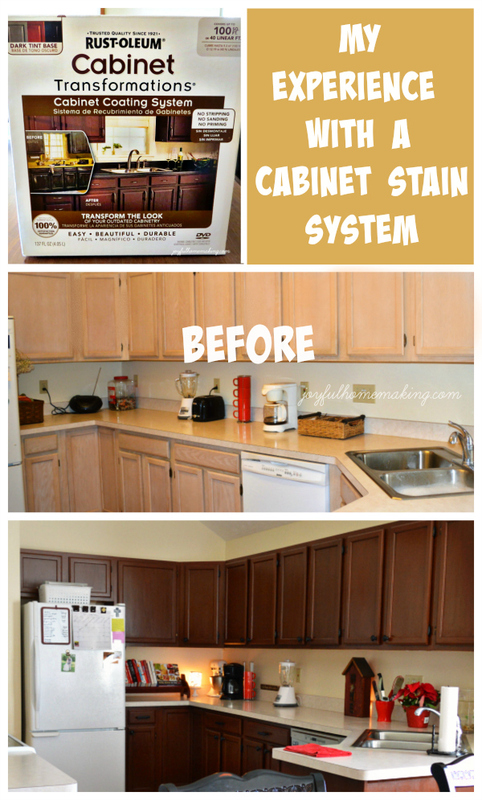 The stain kits were only around $60, and gave such a dramatic makeover to my kitchen! 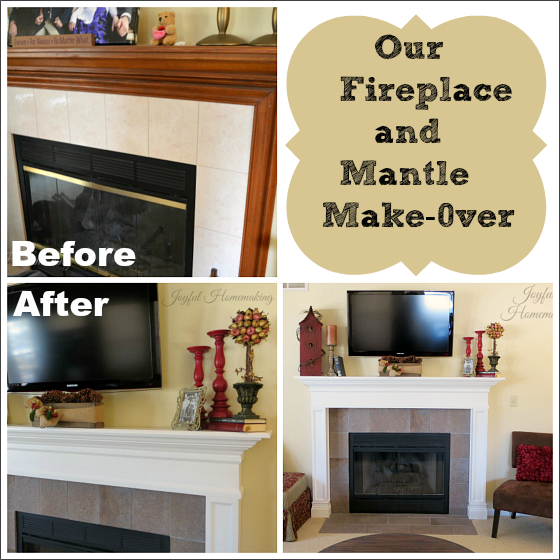 My husband and I redid our dated mantle with new trim and tile for around $350, and it so helped update our living room. 6. Painting a room is probably one of my most favorite ways to update and change the look of a space! 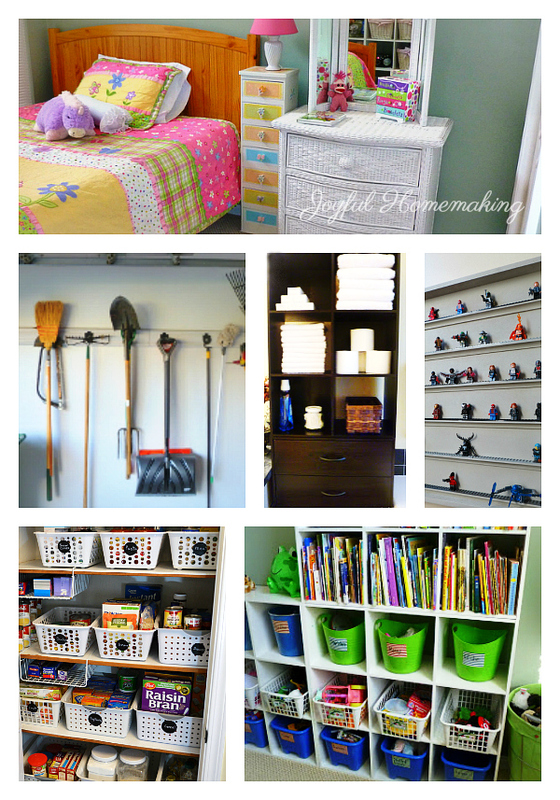 Yes, it takes some labor, but for the money, it’s the best and quickest way to completely transform a room. 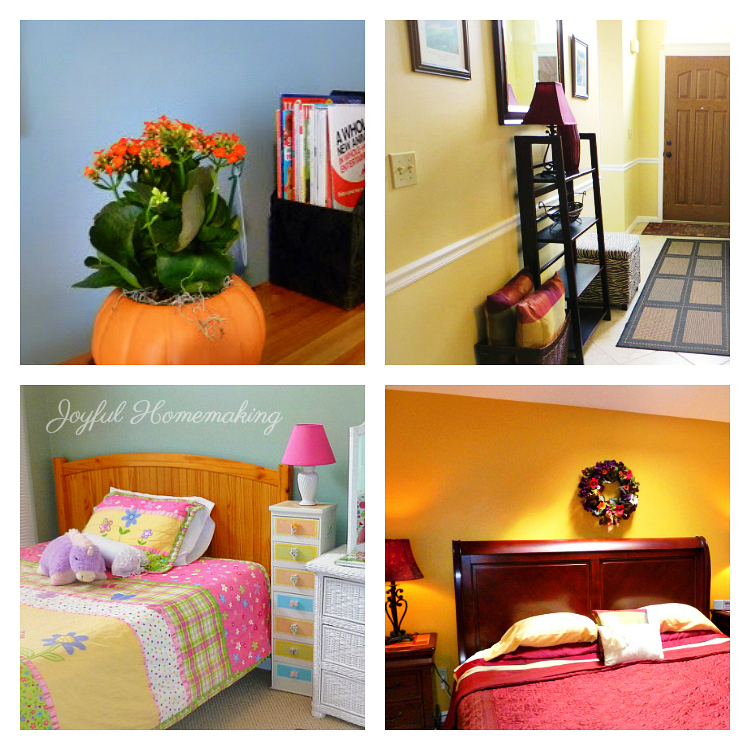 Even painting the trim in a space can dramatically update a look. 7. 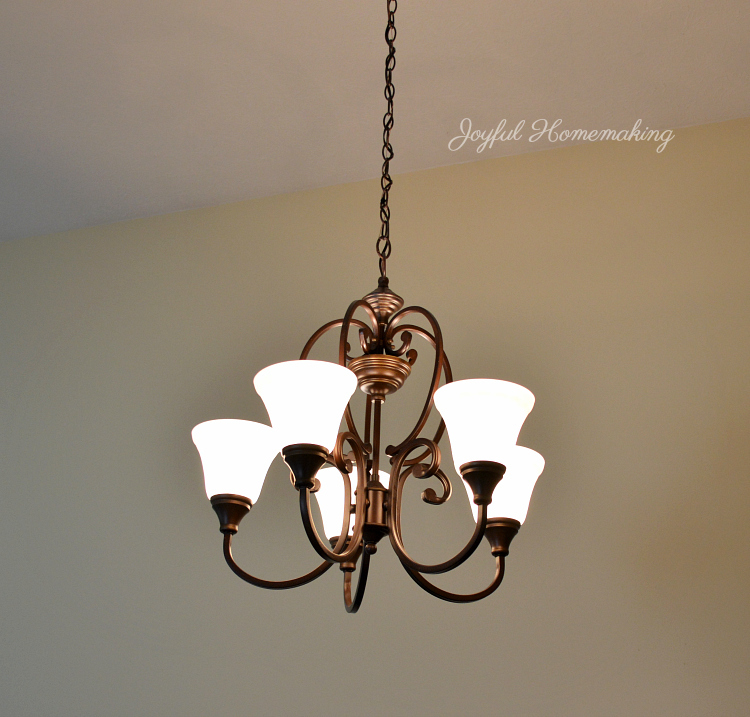 Changing out dated light fixtures can instantly make a place look more modern. 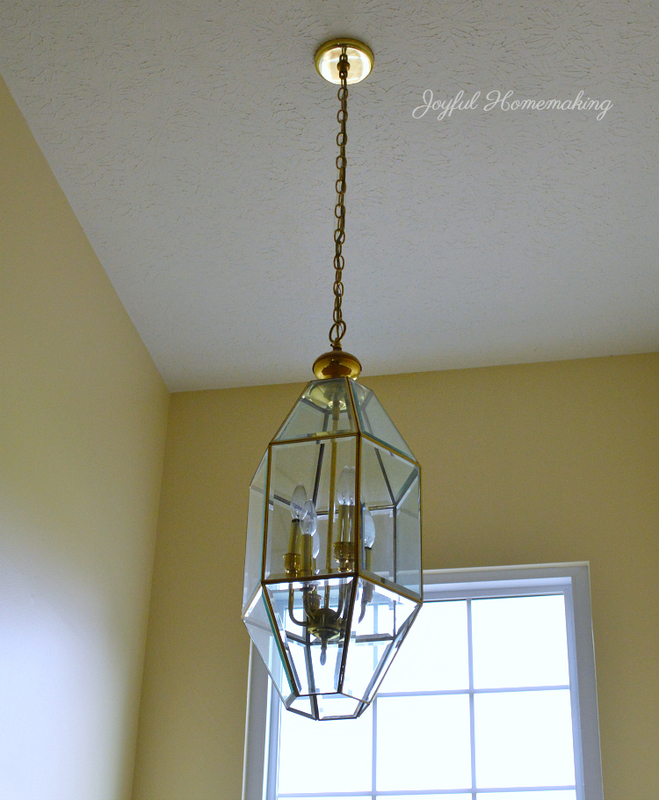 When we moved into our current house, all the light fixtures were these gold and glass older style fixtures. After painting all the rooms in our house, the lights were the next thing that we started changing out one by one. We certainly didn’t pick expensive ones as they were not in our budget, but we did find ones that we liked without spending a lot of money. If you shop around, you can find lots of different options in various price ranges, and in styles that reflect your personality. 8. 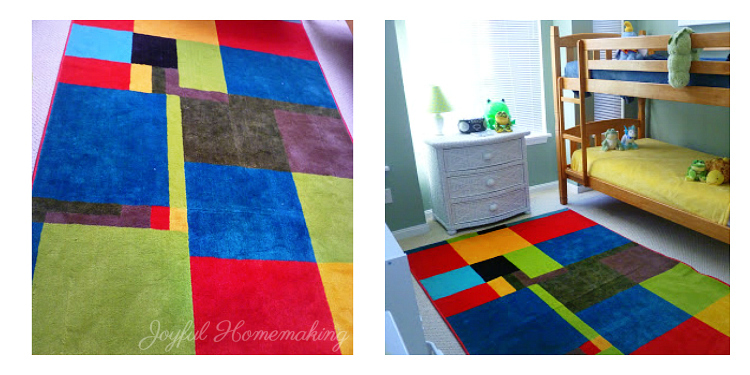 Rugs come in all shapes, colors and textures, and can make a room warmer, cooler, more fun or more cozy depending on their color and design. 9. If your budget allows, purchasing a few new furniture pieces can be so exciting. 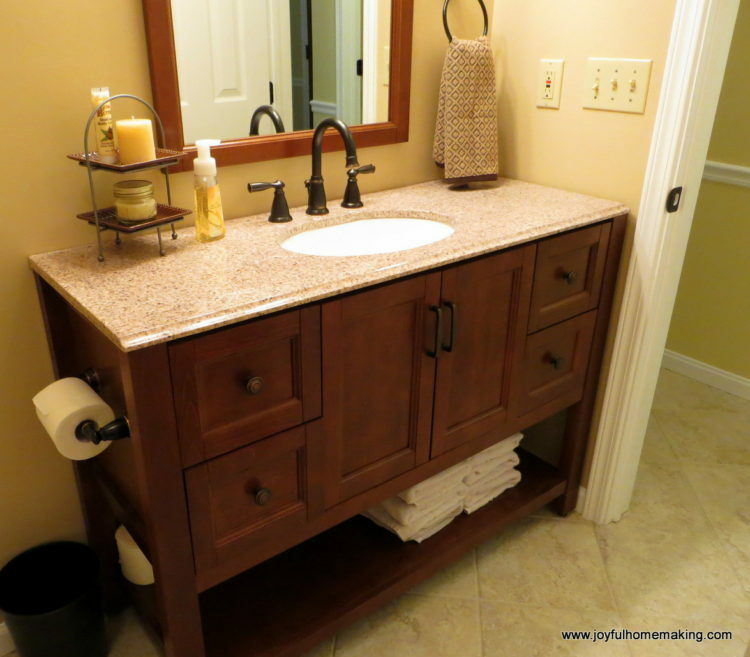 A new bedframe or dresser…a new couch or chair…or a new vanity for your bathroom can change the whole mood of a room. 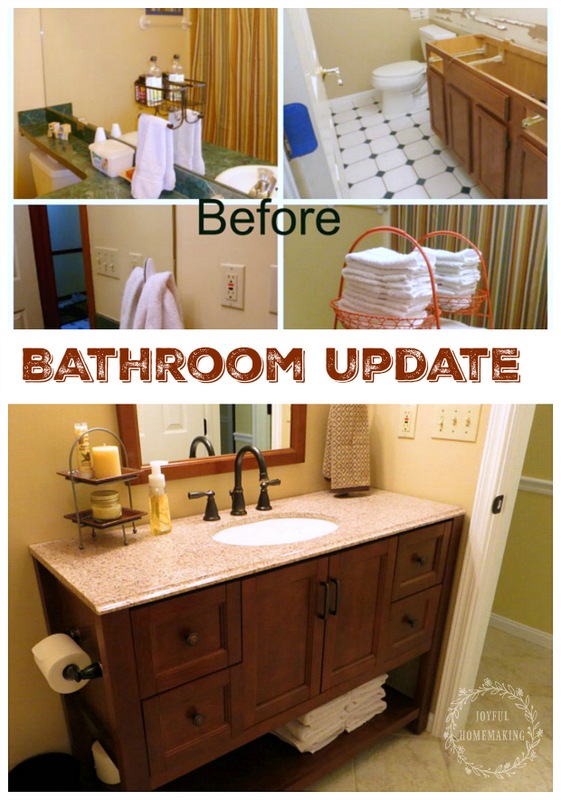 We did a bathroom renovation which included paint, flooring and a new vanity. We found our vanity at a local home improvement store, and including the hardware and paint our little remodel was less than a $1,000. 11. 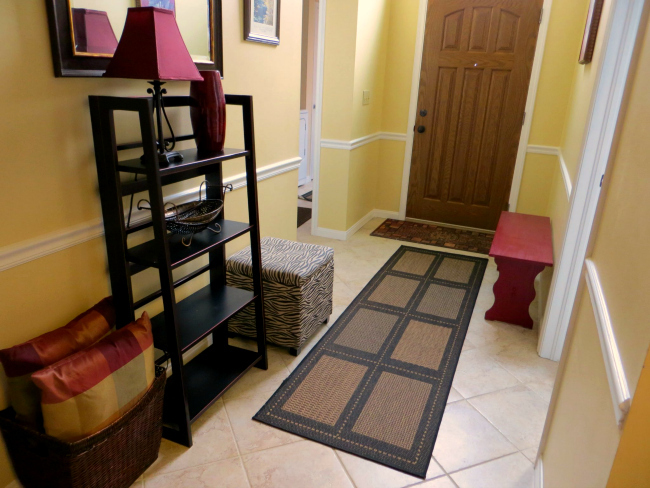 New flooring, whether it’s hardwood, laminate or carpeting can really freshen up your home. Again, the options come in all price ranges. 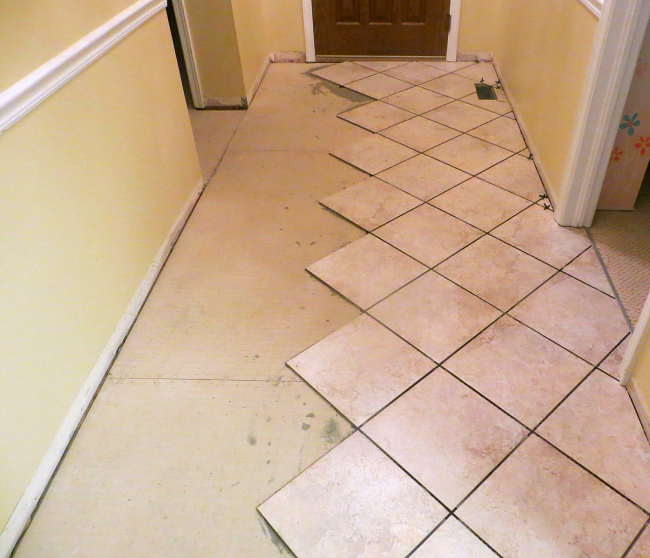 We’ve replaced so many floors in the two houses that we’ve owned, and have tried out various flooring options. 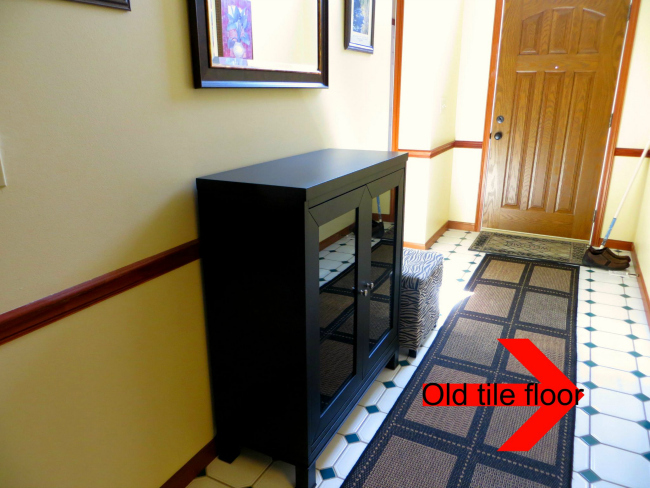 My favorite is actually vinyl tiles (I just like the feel), but my husband won out with the more popular hardy choice, and we purchased a ceramic tile for our entryway and kids/guest bath. We currently have carpeting in the living room, but because of all the allergies in the family, we are hoping to do hardwood soon. So there you go! 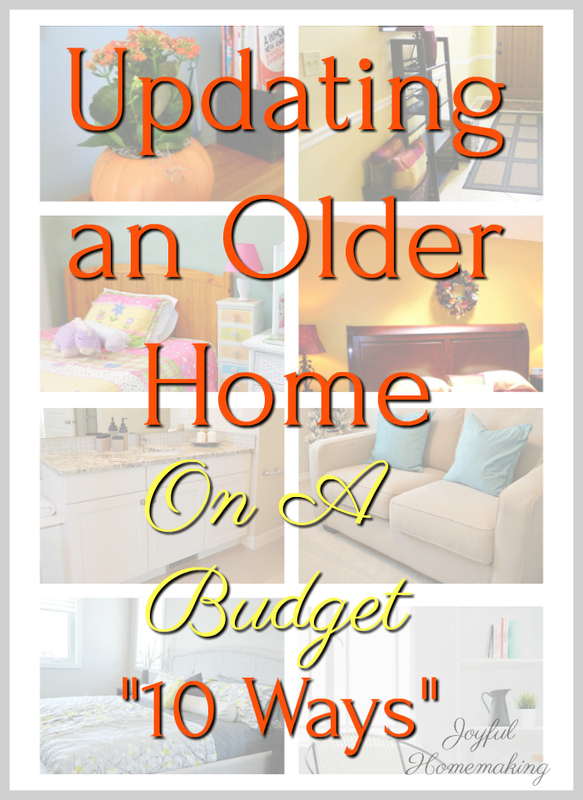 10 Ways to update and freshen up your older home on a budget! The apartment really looks cosy and great. I like what you did. Thanks for sharing. I love how some paint and sandpaper can completely change the outlook of a piece of furniture. I often repurpose old furniture too, it’s a very satisfying feeling to upcycle something and give it life with limited funds. Not everyone has the needed set of skills to pull that off. 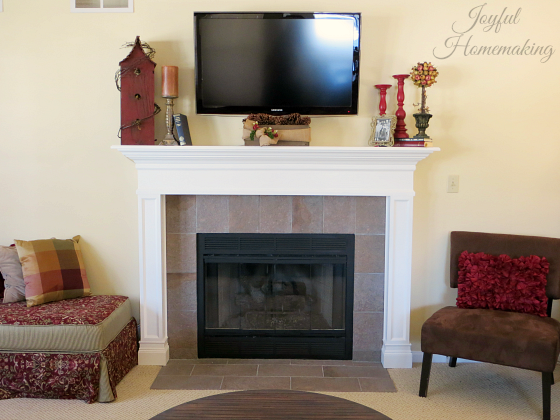 These are some great tip for updating a home when trying to stay on budget. 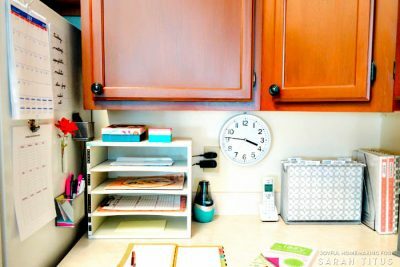 We are planning to redo our cabinets this Spring with the Rustoleum Cabinet Transformations, we have the kit to do our cabinets the same as yours 🙂 Pinning! I’ve been really happy with the durability and look if the cabinets! I really like the order of expense list you created. 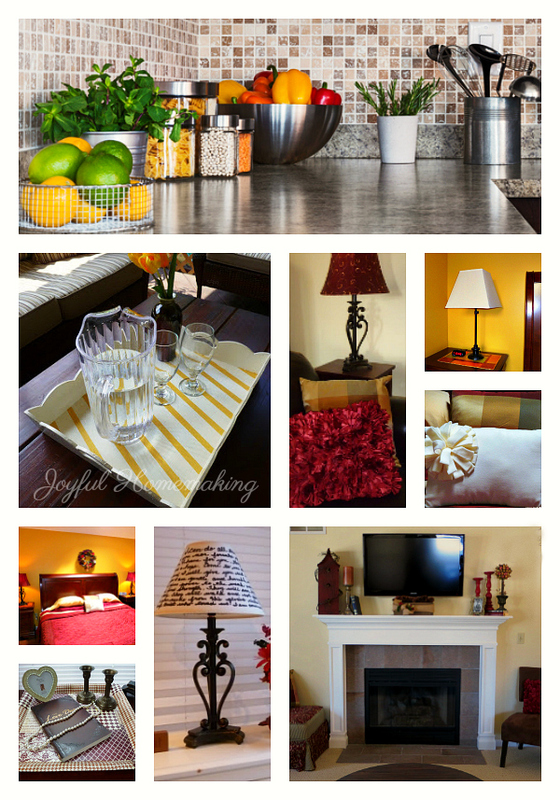 Making a home look fresh and new does not have to cost lots of money. Great advice. Lots of great ideas. I am trying to make my new build have a soul! Proving difficult, but I am getting there. I am inspired by some of your ideas. I think I will start with paint as all the walls are magnolia! Okay seriously, I am loving this post. You are incredibly creative, dear! I am looking at these before and after photos and I just keep saying to myself wow wow. Re-doing a piece of furniture is one of my fave things and always love to watch what other do and how they do it… Let me tell you, your house looks so pretty and so cozy. These are great tips! I’m definitely feeling like my apartment needs a refresh of some sort. I think I’ll start with a little furniture rearranging. My grandma was definitely a serial furniture mover! Somehow I didn’t get that gene and I had totally overlooked this as an option for changing thinks up! Such an interesting and useful post! And came just in time as we need to do an update on our home this summer. We don’t want to overspend so most of the tips apply to my case. Lots of good ideas! Thanks so much for including such a variety of tips, all them quite practical.